We’re pleased to announce our next Flash Fiction Contest judge: Rebecca Schiff. The winner of the 2017 Flash Fiction Contest will receive $300, online publication, publication as a limited-run micro-chapbook or broadside, and a copy of the judge’s latest book. Submissions open October 1st, 2017. Full guidelines are available here. 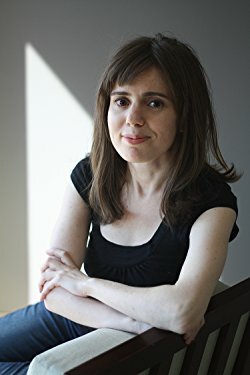 Rebecca Schiff is the author of The Bed Moved (Knopf, 2016). She graduated from Columbia University’s MFA program, where she received a Henfield Prize. Her stories have appeared in n+1, Electric Literature, The American Reader, Guernica, The Guardian, and Lenny Letter. She lives in Brooklyn. If you’d like to get a taste of the judge’s style, you can read some of Rebecca’s work on Buzzfeed and The Guardian. (Of course, you could also just go buy her book). You can also read last year’s winning flash fiction, selected by Leesa Cross-Smith, on our website. Or stop by our AWP table (548-T) to get a copy of the free micro-chap.